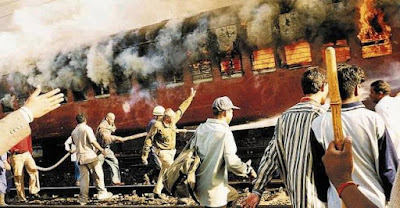 The Indian Herald: Online English Newspaper: "Godhra train burning was BJP's pre-planned conspiracy to create communal divide for winning Gujarat election"
"The burning of Sabarmati Express at Godhra was a pre-planned conspiracy", claim leaders of Patel agitation. They have alleged that it was planned to create communal divide and set off riots so that the BJP could win the Gujarat election in 2002. The stunning statement of the Patel leaders has once again brought to fore the mystery of the fire in the Sabarmati Express, which led to riots across Gujarat. Rahul Desai and Lal Bhai Patel, who are leaders of the Patidar Samiti, who have now openly said that Godhra train fire was pre-planned. The BJP is a communal party and had there been no communal carnage, Narendra Modi won't have been re-elected as chief minister in 2002, said Desai. 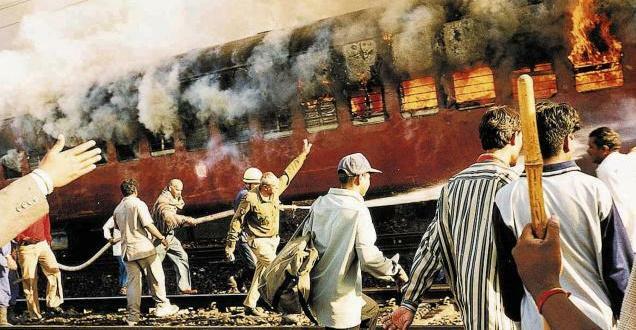 Earlier too there have been questions raised over the circumstances surrounding the mysterious train blaze at Godhra. But Patel agitation leaders' charge has come as a surprise. Patels are angry at the crackdown on them, especially, the leader of agitation Hardik Patel, who is in jail on sedition charges. The bodies of the dead were taken around along with processions, rousing tempers and the result was riots all over the State. It is alleged that 'go ahead' was given from the top and there were verbal orders to police and administration to let rioters attack Muslims, their houses and establishments. The result was a pogrom which led to over 1,000 killings and mass rapes. This became a blot on the secular fabric of India. Separate commissions looked into the train fire and the riots that followed but the mystery had remained.